Founders is a good, reliable brewer that I go back to quite a bit. Every label is going to have the one or two bad ones, but the question is: how many can you really nail? Well, Founders has earned the right to have me try beer after beer at this point. It's a terrible burden that I carry, but I carry it nonetheless. This beer is a nice shade of copper with a white head that boils down to a patchy and very sticky coat of bubbles on top. The aroma is mostly hops, but it seems to have both pine and citrus in just about equal measure. There may be some spices in here backing things up, and maybe just a touch of tropical fruit to add to the hops, but I'm straining to try and smell any malt. First sip is not nearly as bracing as I had expected. While there is bitterness, it's deftly being held down by a somewhat undefinable malt. Can resin hold back the bitterness? 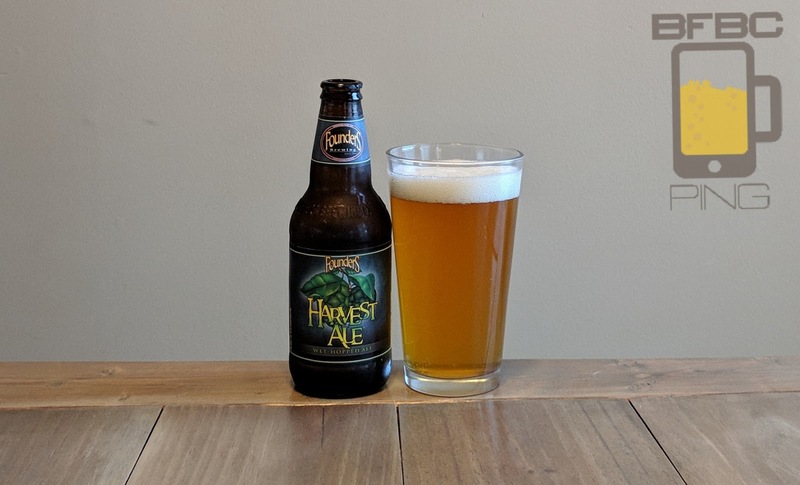 Either way, it's loosely the pine, citrus, and tropical fruit as three legs on the stool of flavor. It has a bit of floral to it along with the resin, but there doesn't seem to be much else. I don't even taste the spices that I thought might be there. 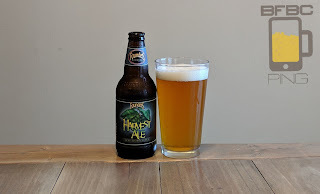 Tip-in is light carbonation with the raspiness of the pine, but there is a sweetness to it that has to be coming from a malt, but I just don't taste any at this point. The middle brings heavy pine with the other kinds of hops definitely being background to it. The finish is where the various fruits surge and manage to overcome the pine (mostly). The trail off is kind of musty with very light spicing and resin. Bottom Line: It's a good beer, and it gets even better when it starts to get some heat in it.